The national chairman of the Peoples Democratic Party ( PDP), Senator Ali Modu Sheriff, has said that with the strategic repositioning currently taking place in the party, it would be able to record victory in at least 30 states of the federation in the 2019 general election. 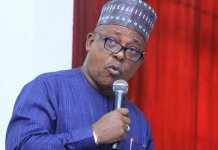 The position of the PDP chairman, came just as the former Minister of the Federal Capital Territory ( FCT) Alhaji Bala Mohammed led a delegation of party stakeholders from Bauchi to the National Secretariat of the PDP on Wednesday, pledging that top party leaders in the state are ready to unite for the challenges ahead. Addressing the party faithful from Bauchi, Sheriff challenged them to go beyond mere show of solidarity and go back to work as family to rebuild the party. 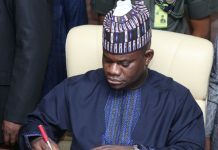 He said unless other aggrieved political bigwigs from the state agreed to sheath their sword like the former FCT minister is doing there would never be headway in the reconciliation effort of the party. “With the present efforts at reconciling ourselves and rebuilding process taking place in the PDP, the party stands a goid chance of reclsiming our lidt glory. 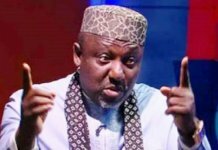 I like to see us emerge from the 2019 general elections with at least 30 governors,” he said. According to Sheriff, Bauchi state is one of the most important states of the federation, adding the the state chapter of the party should try to summon a stakeholders meeting to kick-start reconciliation amongst its agrieved members. He said he is aware of the crisis rocking the leadership of the party in bauchi but expressed the hope that time has come for all involved to reconcile their differences and to work together in the interest of the party. According to Sherrif with the calibre of leaders of the party in the state, reconciliation should not be a problem. He promised to be party of any reconciliatory meeting to resolve the problems. If the north east has problem and is not resolve I may not have the locus standi as a politician to go outside to seek their mandate. While speaking during the visit, the former FCT Minister, Senator Bala Mohammed declared that he is ready to extend his hand of friendship to the former states Governora, Alhaji. Ahmed Adamu Muazu nd Mllam Isa Yuguda for the progress of the PDP in the state.